Hospice palliative care focuses on helping people with a life-limiting illness live well day to day. It includes care for the person and his/her family. Hospice palliative care can be given at the same time as treatment to cure or control disease. 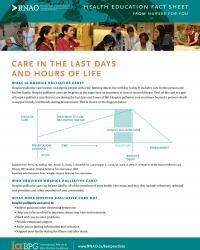 End-of-life care is a part of hospice palliative care that occurs during the last days and hours of life. 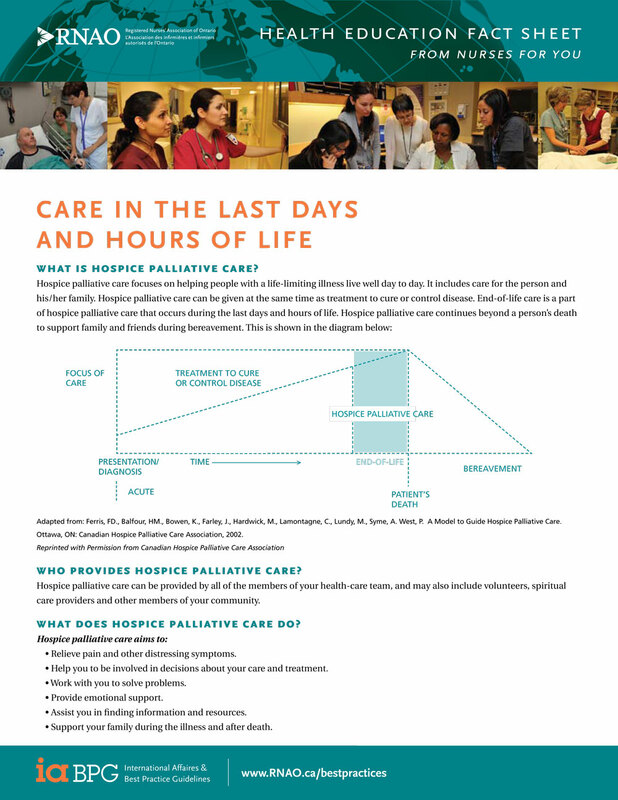 Hospice palliative care continues beyond a person’s death to support family and friends during bereavement.